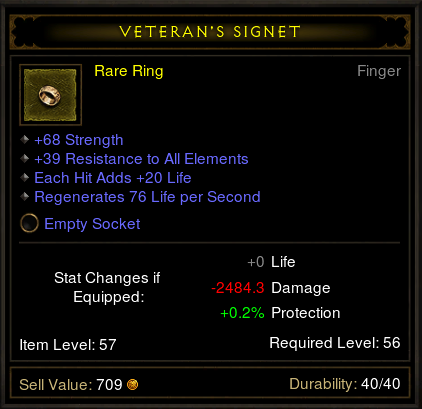 Diablo 3: The crap I find. Re: The crap I find. WTB a high (600+) LoH 1 hander, preferably a fist weapon. 750+ dps please. Also can anyone craft the +6 properties gloves/bracers?